Getting yourself down to the gym can do SO much for your body, mind, and self-confidence. But some women avoid it (even if they know the facts). Why have y ou been avoiding the gym? Is it fear of the unknown, or worrying that you’ll look out of place? Or perhaps you find gym training BO-RING! There could be loads of reasons you find gym training dull. First up, find out why it’s boring for YOU. > Was there a time that you didn’t find the gym boring? > Is it just this gym you find uninspiring, or all gyms? > Is it boring all the time, or just on certain days and times? > Are you fed up with your workout, or with the gym itself? Now you’ve got an idea of how your mind ticks. It’s time to put some solutions in place, so you can enjoy the happy, healthy benefits of gym workouts. Music makes training more fun – and can even make it feel easier. Science says so! (There are too many studies to mention, but if you’re interested then just shout and I’ll send your some to read over). Music can affect our heartrate, energy levels, and even rate of perceived exertion (RPE). Bottom line: if you’re gym is playing great tunes (or you are listening to them on headphones), you are likely to enjoy your workout more. Solution: Upload a great playlist to your MP3 player. Solution: Ask a PT to help you create a new workout plan that will keep boredom away. Solution: Be brave and sign up to something new. 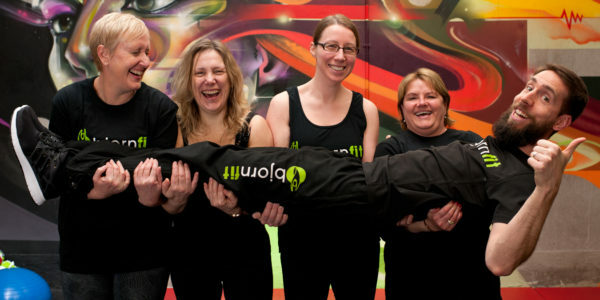 A great idea would be small group training > www.bjornfit.co.uk < – you’ll get more personalised attention than in an exercise class, and you’ll learn loads of new exercise ideas. Why do you go to the gym? If the answer is “because I should…” then you won’t stay motivated for long. You need a goal that means something to you. It doesn’t have to be losing weight (in fact, I’d rather it wasn’t – there’s so much more to fitness than that!) Stuck for ideas? Talk to other women in the gym, private message me > m.me/bjornfit <, or ask a member of gym staff for some inspiration. Solution: Set a goal that excites and motivates you! Even the sportiest people get bored of training on their own. One of the best ways to keep motivated is to find a great training partner or train in a little group of likeminded people. Your sessions will be more fun, a bit social, and leave you feeling energised. And you’ll be less likely to think “…not today” if someone’s waiting for you! 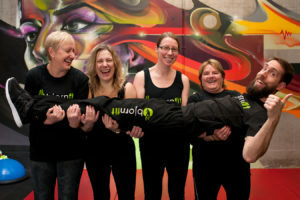 Solution: Try local small group training > www.bjornfit.co.uk <. Are you in the Maidstone area? This > www.bjornfit.co.uk < will definitely stop you from getting bored at the gym! Visit the website or send me a PM if you want to know more about it.